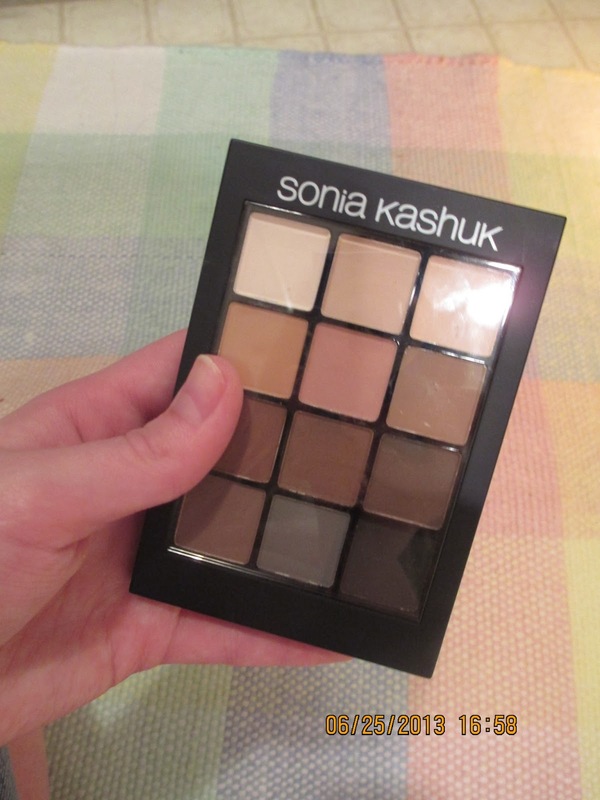 Here is the other palette I got on hautelook, it was only $10 I couldn't pass it up. And it is now also on the UD website for the same price. I would like to say one thing about this website though, they take forever to ship. But when they did come after like 3 weeks they were in perfect condition. Anyway I bet all you want to see is what I think along with some swatches. This palette does come with a mini primer, but I think it's an old formula. I love the packaging, its velvety and has a silver almost sequin detailing. Inside is a mirror with little designs around it, two sponge applicators, and 9 lovely eyeshadows. Here is the colors and overview paper. Here are swatches without a primer, still very pigmented. And here is with a primer, all are very amazing I only had a little trouble with zero. 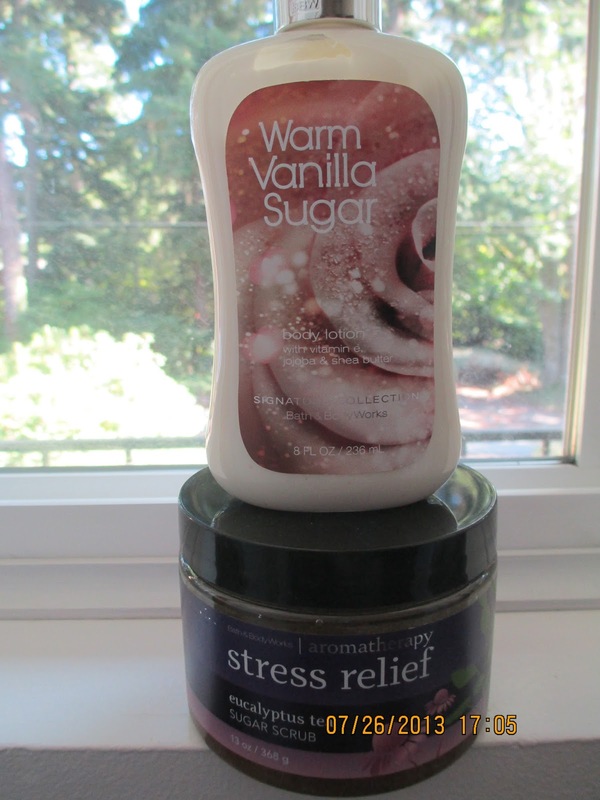 I have been trying a lot of products this past week and I'd thought I'd post what new things I have been using. A few things I just got today but others I bought right after my last mini haul. A few weeks ago Urban Decay was on Hautelook and I decided to buy another two of their palettes. I purchased this one and the Deluxe Shadow Box palette. I bought mine for $12 but usually it is around $40, so checkout sales and things to see if you can get this palette, try not to pay full price. 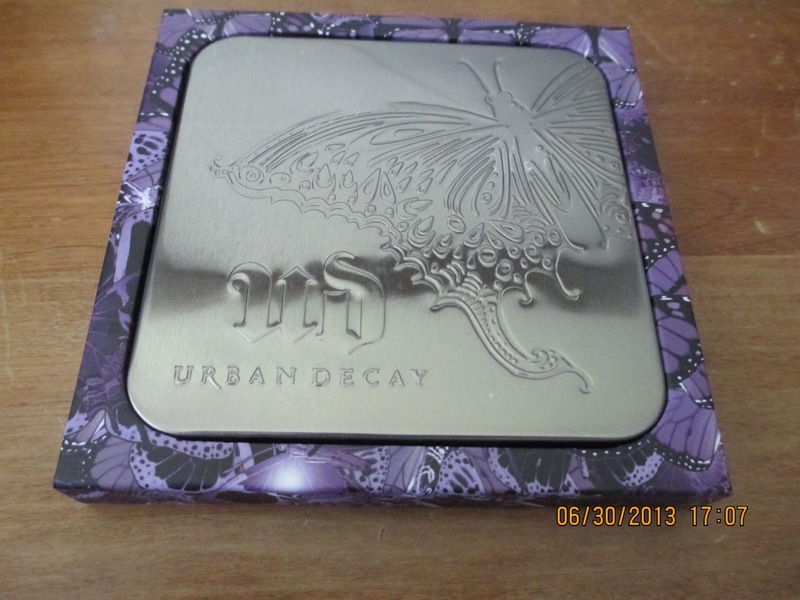 It comes in a metal case that is set in a cardboard holder with a butterfly print. On the back of the cardboard is an overview and color card, that is glued on. Opened up you can see that it has no mirror, 10 shades, and an eye brush that is not just foam. Here is an up-close of the shadows. Here are all the colors in natural lighting without flash. And here it is with flash, this shows the colors better. This is going to be my first haul post, and I hope you enjoy! 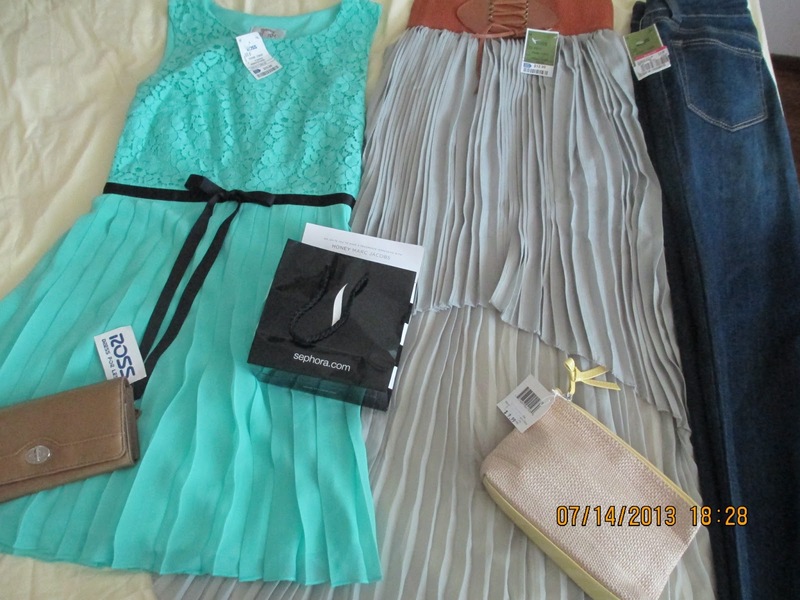 So I had only about 2 hours of shopping time while I was on vacation so I am going to show you what I got. The stores I purchased things at were ROSS, ULTA, and Sephora. Here is a picture of everything I got. I got a sea-foam colored dress that was $16, a high-low skirt that was $13, and a pair of dark blue jeans that were $10 at Ross. Here's everything I got at Sephora including the little samples. I got the Sephora Collection 8hr mattifying compact foundation ($22). An OCC lip tar in the shade Divine for my friend for her B-day( no review, and $18). A lovely gold Sephora Collection eye liner in girls night out ( $9). A Sephora lip liner in Pure Pinky ($5). Bite Beauty Lip Layers Duo Lipstick in Shiraz & Retsina ($12). OPI Sephora nail polish blasted in opal ($3). And finally the samples were of Marc Jacobs Honey, and Boscia Moisturizer. So I was looking for an all matte eyeshadow palette and I found this one at my local target, and it is also available here. What annoys me the most is how expensive it is for a drugstore product, don't get me wrong it's still affordable, but it's $19.99! 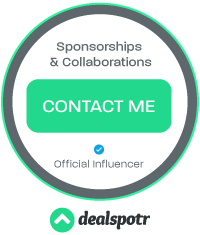 So that's the info on this product, and here is a review. 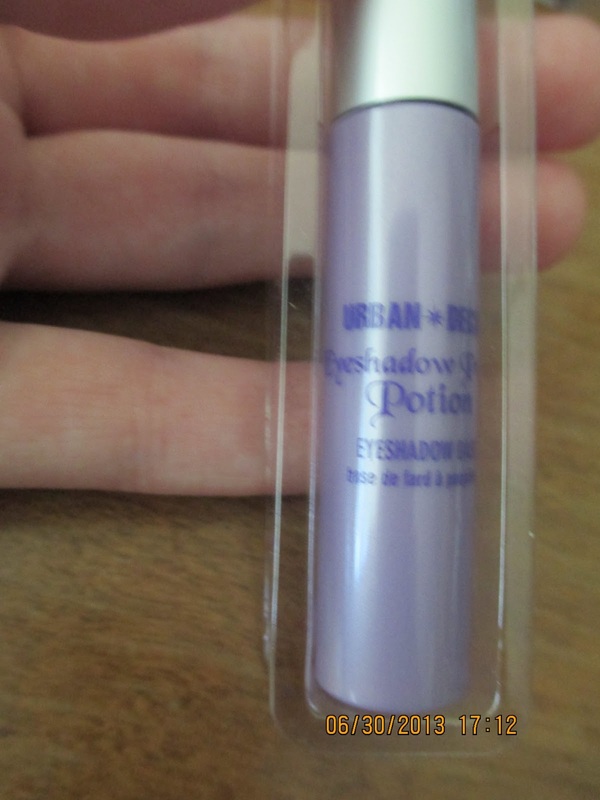 Here is the outside packaging, and size relative to my hand( it's tiny). Opened up, here are all of the colors. There are swatches of the colors without a primer under. And those are the swatches with a primer. Here is an eye look I created with this palette. I applied the middle color in the second row (or the pinky shade) all over the lid. Then I added one of the medium browns to the crease and blended it out. And when that was done I added the white to my brow bone. And of course added mascara. 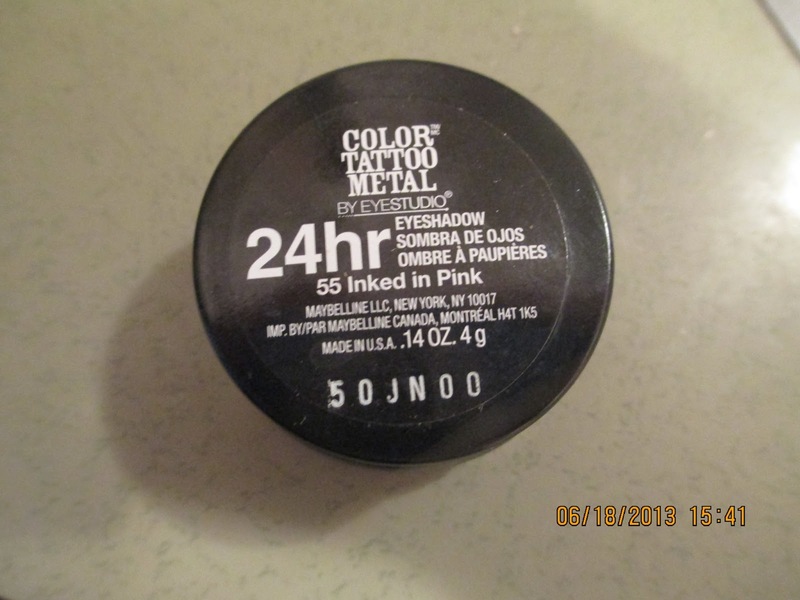 Today I have another review for you, and this time it's on the famous maybelline color tatoo! In case you don't know what these are they are a long wearing cream eyeshadow. Right now I only have one shade, but I plan on buying more. The shade I have is inked in pink! So this is what the packaging looks like...It's a basic glass jar like container with the name and color printed on. On one side is the lid, and turned over you can see the color through the glass. Opened up you can see that I have used this product a few times, in real life I have barely made a dent. Here is the most accurate swatch taken in natural lighting, it is a lovely pale pinky shade with an almost satin finish. Recommend? Yes! One day I wore it out shopping with my friends and I kept asking if it had creased and they kept telling me that it had not! I still do recommend setting it with an eyeshadow, or using it as an eyeshadow base since cream shadows do tend to crease faster.